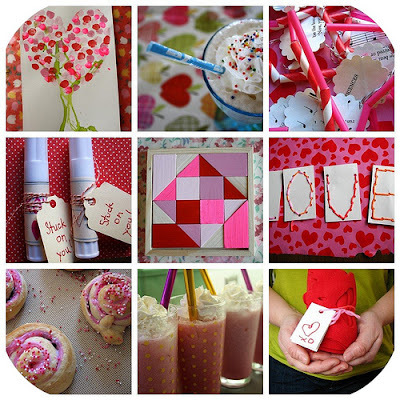 Here are nine fabulous Valentine's Day projects you can do with your kiddos. Clockwise from the top left, click on the link to the tutorial and keep us posted if you make any of them. We would love to see and hear from you!